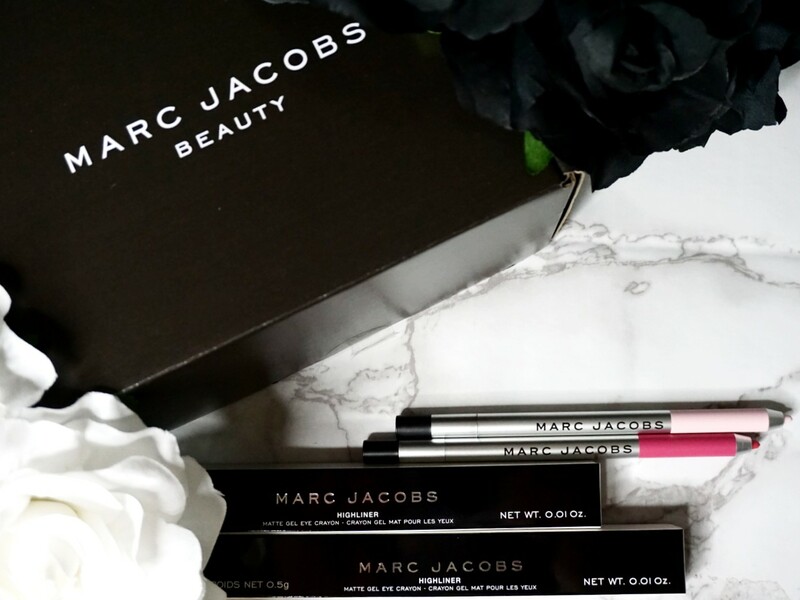 OFFICIAL SAVANA RAE: FIRST LOOK AT THE MARC JACOBS MATTE GEL EYE HIGHLINERS. ARE THEY TRULY WORTH THE PURCHASE? 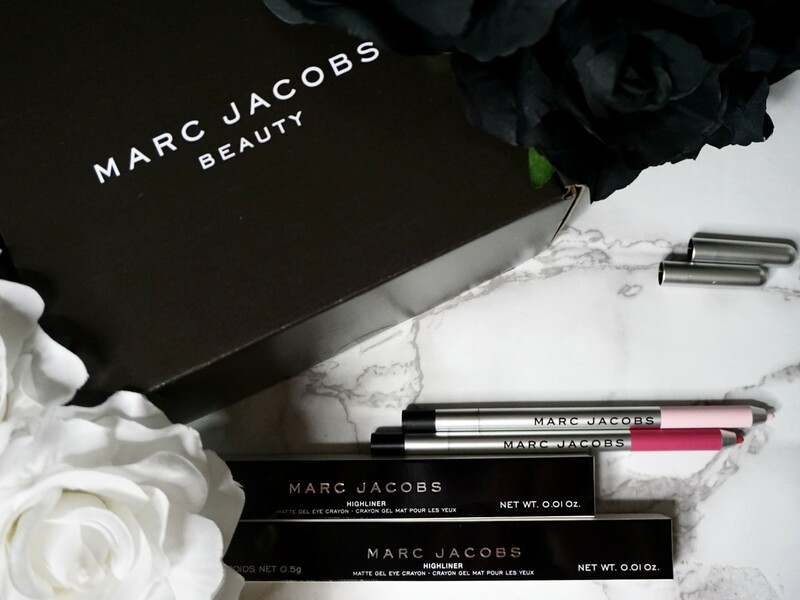 FIRST LOOK AT THE MARC JACOBS MATTE GEL EYE HIGHLINERS. ARE THEY TRULY WORTH THE PURCHASE? What's better than starting the year other than with a Marc Jacobs Beauty product? The real question on your mind at this point is if it's worth the purchase. I love how with Marc Jacobs products there is always an inspiration source that pushes this outstanding designer to develop something which can well become top of the line not only in terms of product design but also formula. 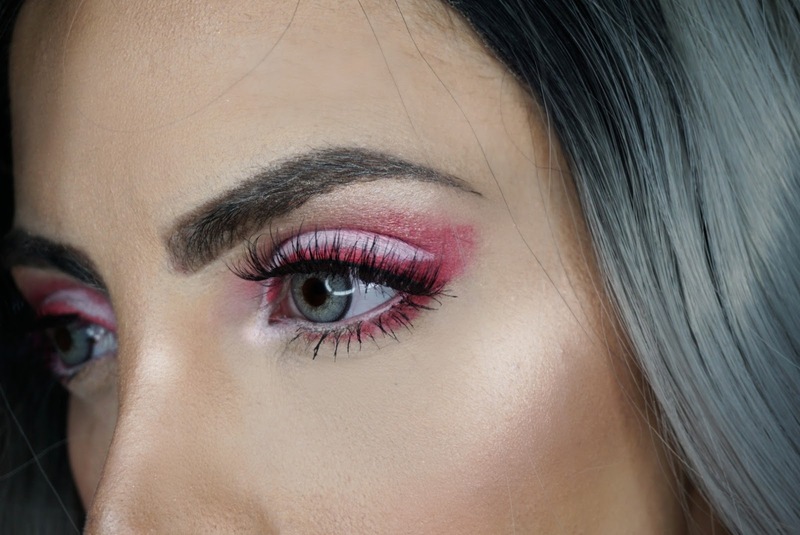 If you have experience with this brands creations you may have noticed that they are highly pigmented and you literally get your moneys worth as you usually require little product to get the desired look. Is this the case with this Matte Gel Eye Highliners? Marc Jacobs was inspired by his Boldly Bright Resort 2017 Collection. This range promises extraordinary and intense shades. This product line exhibits 12 different colours and memorable names. 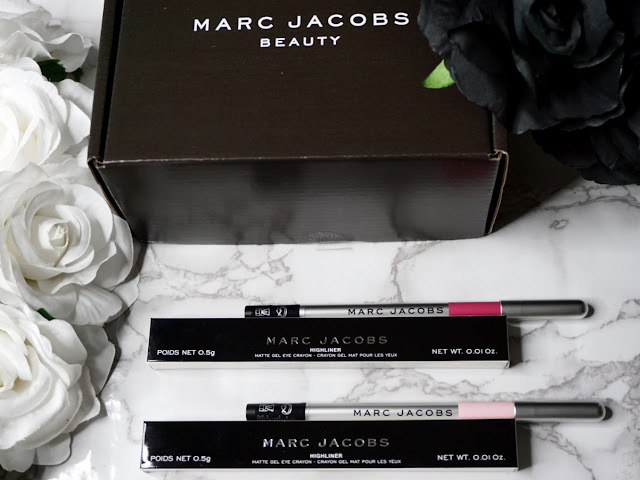 Courtesy of Marc Jacobs together with influenster I was provided with two shades of the Matte Gel Eye Highliners, POP(ULAR) and PINK OF ME. If you are a Marc Jacobs enthusiast like me you can imagine the excitement and the high expectations in using this product as their Highliner Gel Eye Crayon Eyeliner is a sought award winner, the difference is that this new range has a matte finish with again a very high colour payoff. 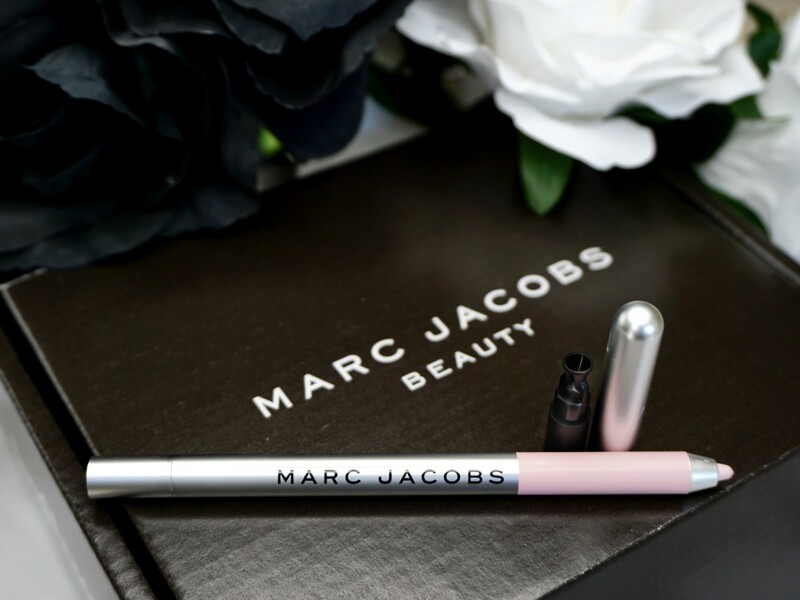 The design as you can notice from my shots is outstanding, as usual they have pulled out all the stops, you are not looking at an actual typical pencil, but rather a lightweight metallic beautiful encasing with the MARC JACOBS logo. It has a rotating mechanism which allows the liner to be dispensed. Say goodbye to those horrid eyeliner sharpeners which allow for so much of the eyeliner to be wasted and say hello to the future with their inbuilt sharpening end. Take a tissue and rotate the tip within it for a sharpened edge. I love this part as I have a hideous relationship when it comes to having to sharpen all my eyeliners and lip liners. 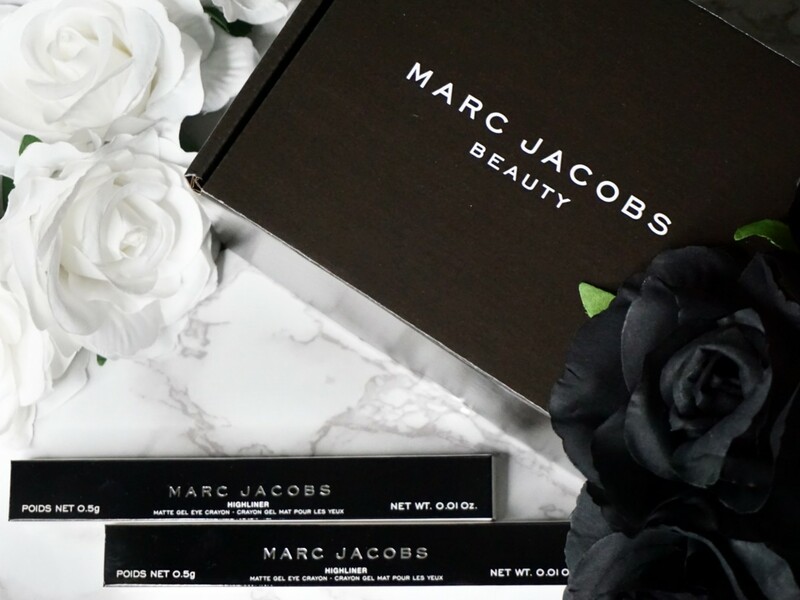 If you are a Marc Jacobs Beauty lover, it will come to no surprise that the design cannot be flawed. The most important aspect of reviewing beauty products comes from analysing how well the formula does. This is a key component and if design cannot be flawed even better. My opinion is based on the two shades I was provided, they have a lot to live up to as I previously mentioned that their previous range which is not matte in consistency is an award winning product. First impressions always set the tone for me, however time does put makeup through true tests. As soon as I used the highliner to swatch, I noticed how well it glided on the skin and how intense the colour appeared only with one swipe. It feels of soft wax type of material rather than those hard pencil most brands develop for eyeliners. The great thing about it is also that it is not a dry product but rather gives you time to work with it before it sets. It provides a smudge proof matte finish. There is no glitter within this range at all. 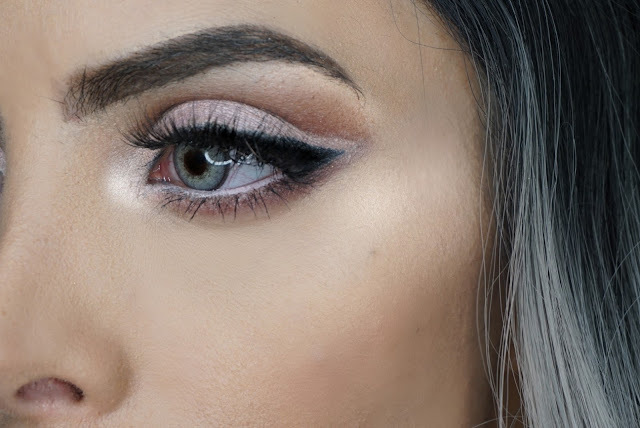 The worry always around these type of formulas is whether or not it will be able to be precise upon application as it is a must that eyeliners have this specific feature. Luckily, it was incredibly precise and precision will persist as it sets. This for me is so important and got me incredibly excited as I knew I would be able to create eye looks with an artistic finish. I found that the best feature of this product formula is that before setting it will give you up to 15 seconds to even work with it depending on which makeup eye look you are going, hence you will be to smudge and build the product depending on your needs other than using it as an eyeliner or on the waterline. I enjoy to use products who have multiple uses as it really makes it worth the money. What does this mean to you though? Simple, imagine that you can use it as an eyeshadow base or even to create a smokey eye and not as a plain an simple eyeliner. THIS IS DEFINITELY A HIGHLINER. The pigment of the highliners is very intense for both POP(ULAR) and PINK OF ME, I think I expected it with POP(ULAR) however with PINK OF ME I was incredibly surprised as it is a very light colour and light eyeliners usually tend to fade and have a hard time showing up. Another big question on your mind must be if the product long lasting or does it just disappear or smudge off. There's nothing worse that this, as your makeup look will fall apart and you will end up looking like a hot mess. This gel formula is waterproof which is very useful especially for lining the waterline or inner corners of your eyes. Lets face it though, some eyeliner can add years to your face especially if they set in all the wrong places especially if you have been wearing it for hours. This did not seem to be the case in this instance. 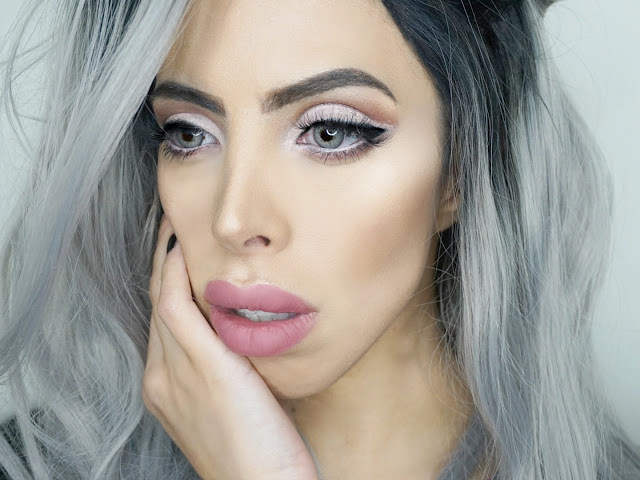 I have created two looks using all the techniques it promises to fulfill with only a single product, these being SMUDGING, BUILDING UP PRODUCT, CREATING A SMOKEY EYE and LINING THE EYE TO CREATE A DESIGN or use it as a simple eyeliner. I created this look by using PINK OF ME AS A SHADOW , then also on the waterline and eye corner. Topping it off with a black eyeliner and lashes. I did also use the VELVET NOIR mascara. 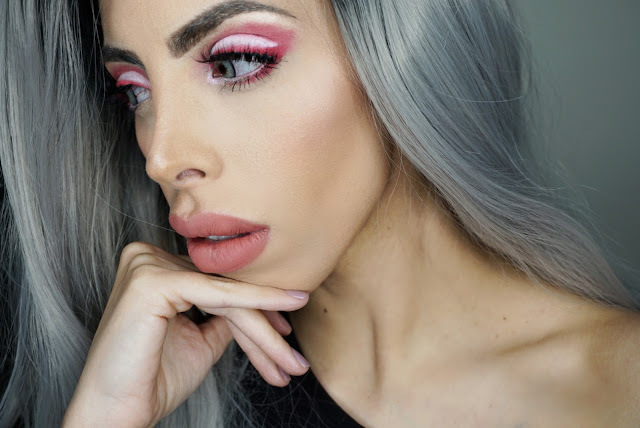 I wanted to make sure that for this look I only used the PINK OF ME and POP(ULAR) MATTE GEL HIGHLINERS, to show you how you can do EVERYTHING with these. I have used POP(ULAR) as a liner and as a crease shadow. I have also smudged it under my lower lashes. I have used PINK OF ME to add a pop to the look as well as in the inner eye corner, lid and waterline. Full action and uses that you can watch on my Instagram video. 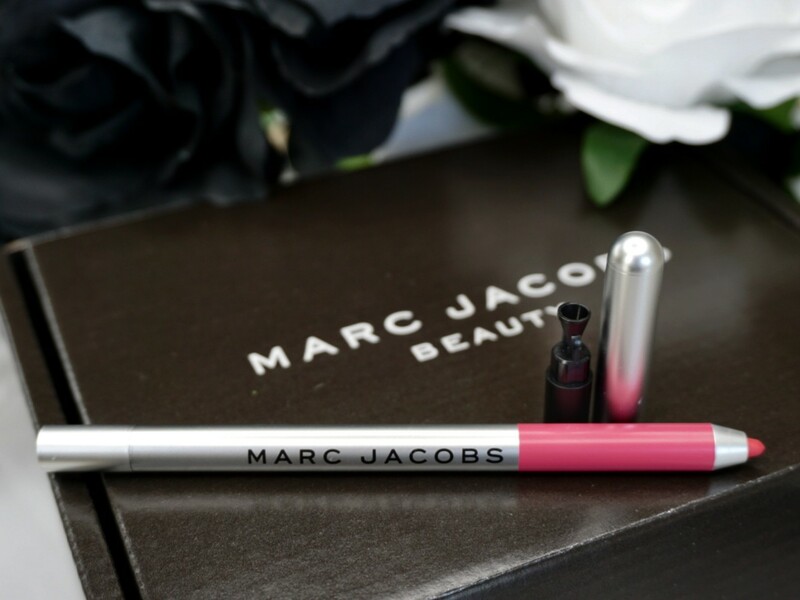 Marc Jacobs Beauty you have done it again this is such a great and versatile product. I was thoroughly impressed and can't deny I am pleasantly surprised as it justifies the price point. I am so happy with how many EFFICIENT uses this product exhibits. You may have noticed I put emphasis on the word efficient, this is simply because I managed to work with the product in many ways and the colour just popped not only on the waterline but even on the eyelid. I am excited with this range as not everyone goes for shine containing eyeliners , it's great that Marc Jacobs lived up to the high expectations set already by their award winning Marc Jacobs Highliner Gel Eye Crayons . It's no secret that I do love a matte finish so this product really did it for me. In regards to these two particular shades, they are equally as high quality as one another, they are creamy, rich in colour and very easy to work with. I was so impressed with the pigment, how the product is long-lasting and stays put. I CAN WITHOUT A DOUBT ADVISE THAT THESE ARE WELL WORTH THE PURCHASE. The Matte Gel Eye Highliners retail at £20 and you may purchase them at John Lewis . What was your impression of the highliners? Have you tried them before? If not, would you? It would be great to hear your feedback in the comments section. I have been using Pink Of Me every day! Loved your review and makeup look!